March 21, 2019 – Vancouver, B.C. 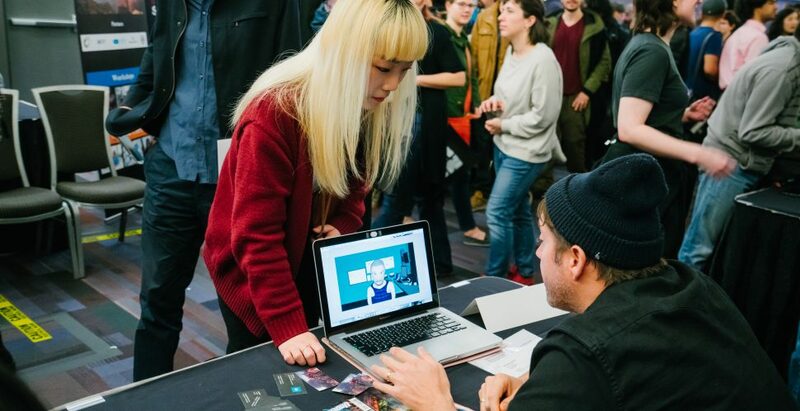 – Returning for its eighth year on April 6 (Saturday) and featuring over 400 jobs, the Vancouver Digital Entertainment Career Fair expects more than 3,500 professionals to meet with hiring representatives from Vancouver’s top companies. The Career Fair is free to attend, taking place from 10:00 a.m. to 3:30 p.m. at the Vancouver Convention Centre East (999 Canada Place; Ballrooms A, B and C). Job-seekers may register through Eventbrite at https://yvrdigitalcareers2019.eventbrite.com or on-site upon arrival. Presented by VEC and powered by Netflix, the Career Fair is North America’s largest annual dedicated professional hiring fair for the digital entertainment industry. Vancouver’s strength in tech, digital entertainment and innovation has given it a knack for developing award-winning tools of the trade, attracting the best talent, and growing emerging industries such as virtual and augmented reality (VR/AR) and esports at a blistering pace. “Last year’s Career Fair attracted well over 3,000 attendees, who met with more than 50 exhibitors,” says Nancy Basi, Executive Director of Media & Entertainment at VEC. “Over 40,000 professionals work in Vancouver’s digital entertainment sector, but the industry boom creates jobs faster than locals can fill them, which is why we also welcome fresh talent from surrounding regions like Edmonton, Calgary and Seattle.”This growth comes as no surprise to the VEC, which forecast that local annual film & TV industry spending will surpass $4 billion in value in 2019. VEC also predicts that the value of Vancouver’s visual effects and animation industry – where Vancouver leads the world – will exceed $1 billion for the first time this year. Even professionals not actively searching for jobs will find something, including a Speakers Corner that features deep dives and deconstructions of award-winning projects. One of the objectives of the Career Fair is to help ambitious professionals explore new or emerging business opportunities, and important trends such as 360 production and equitable workplaces. This industry has been one of the fastest-growing in Vancouver over the last few years, providing huge spin-off economic impacts, a global profile and diverse job opportunities – including low-barrier ones – and contributing significantly to economic resilience in the region. Amazon Prime and Netflix have announced increases in animation spend for commissioned content, with their budgets set to double to 2021. As one of the top global hubs for production, Vancouver is well-positioned to capture benefits from this trend. Notable Vancouver-animated productions include the recent award-winning Spider-Man: Into the Spider-Verse and audience favourites such as the Lego Movie franchise, Rick & Morty, Bob’s Burgers, Angry Birds and Beat Bugs. Vancouver is one of the top ten game development hubs in the world, home to multinational studios producing global franchises such as FIFA (Electronic Arts) and Gears of War (The Coalition / Microsoft) and independent mobile games developers such as IUGO Mobile Entertainment, Hothead Games, A Thinking Ape and Eastside Games. Vancouver is rapidly emerging as a global hub for esports, capturing even more global attention after hosting The International 2018, Dota 2’s world championships and the largest-ever esports event. Located in the heart of downtown, the Vancouver Economic Commission respectfully acknowledges that it is located on the unceded ancestral territories of the Musqueam, Tsleil-Waututh and Squamish nations.